A Colorful Day in Manhattan! Exploring Manhattan is the best thing you can do in NY! 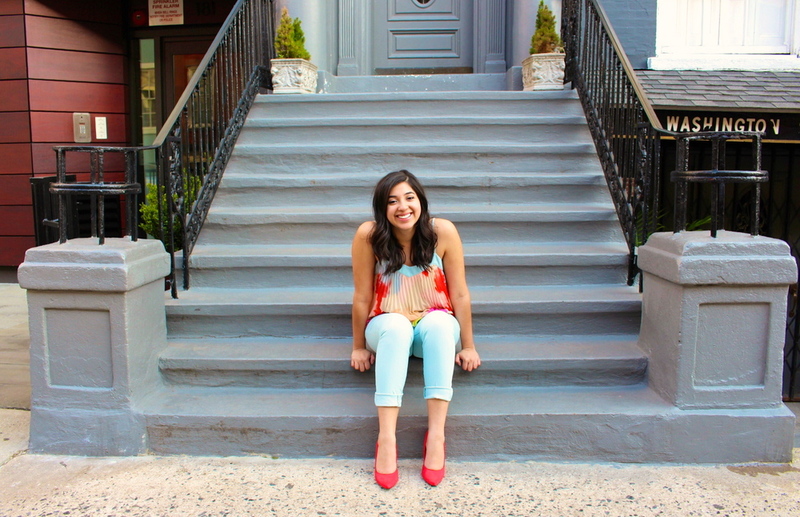 I love heading to Manhattan for a girls night out, for date night, or to just find new and fun spots in the city. 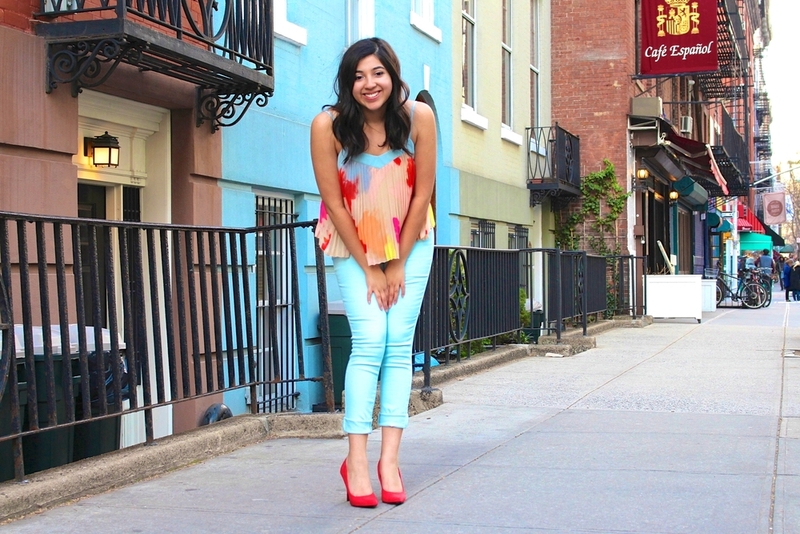 Today I will be sharing this colorful outfit and one of my favorite ice cream spots in the West Village. 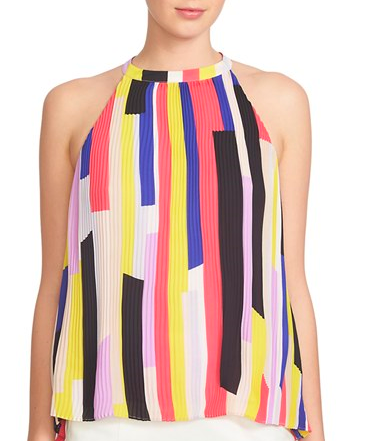 This colorful top is from the brand 1. State and was purchased at a Lord and Taylor Outlet for only $24.99. If you know the brand 1.State, then you know that is a bargain! I was immediately drawn to the top because of all the colors, I mean can you blame me? I admired how delicately and effortlessly it pulled off having almost all the colors of the rainbow. This top actually comes with a slightly funny story. 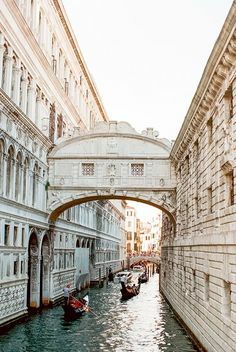 It begins like this: Working two jobs and being a bargain hunter helps finance my shopping habits, but I have to admit that lately I have been swiping my credit card a little too often. In an effort to help me stop this borderline addiction my boyfriend, Darian <3, made a deal with me that went a little something like this “if you agree not to shop for a whole month, then I will buy you this top.” Ladies, I am proud to say, it’s been 18 days and I’m still going strong :’). Making this deal wasn’t too difficult because it definitely helped that I already bought enough close for this spring season but shhh that’s a secret! 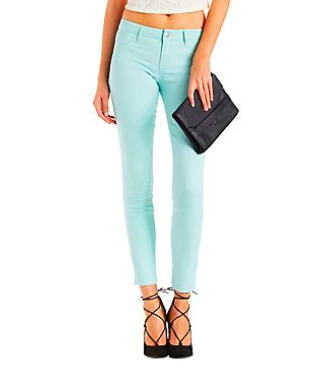 These leggings by Refuge can be found at Charlotte Russe. They are both stylish and have a great fit! Charlotte Russe is currently running a sale where you buy one and get one for $12.50. While I believe that this is a great deal, I recommend checking in store because I found my pair for only $10 in their sale rack. Always check the sale rack! If you know me, then you know that I absolutely LOVE ice cream! 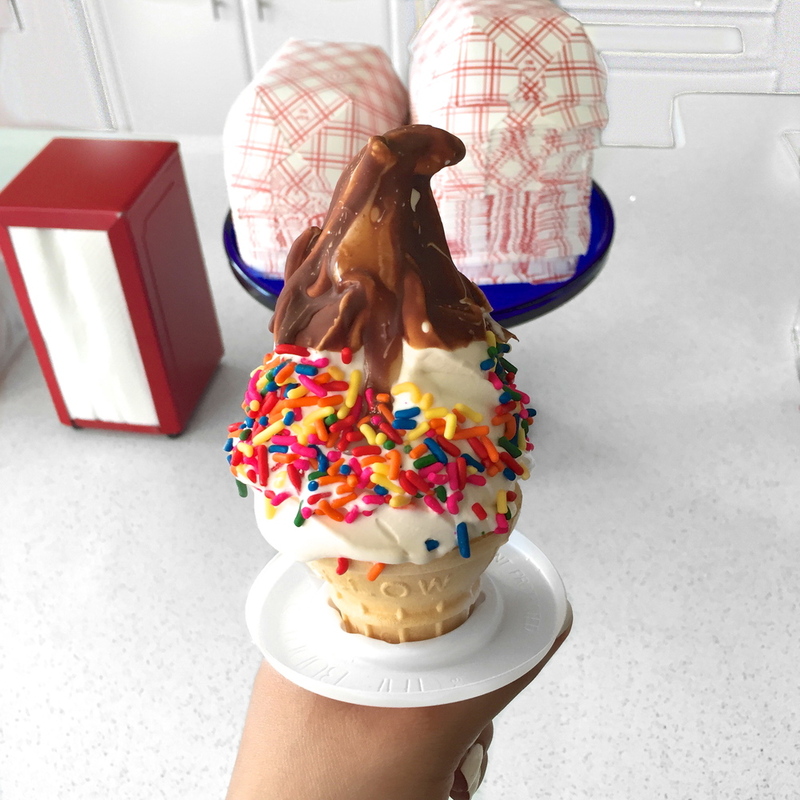 One of my favorite ice cream spots in Manhattan is Big Gay Ice Cream. They have signature cones, sundaes, and shakes. My favorite part about Big Gay is that they basically break all the ice cream rules you didn’t even know existed. 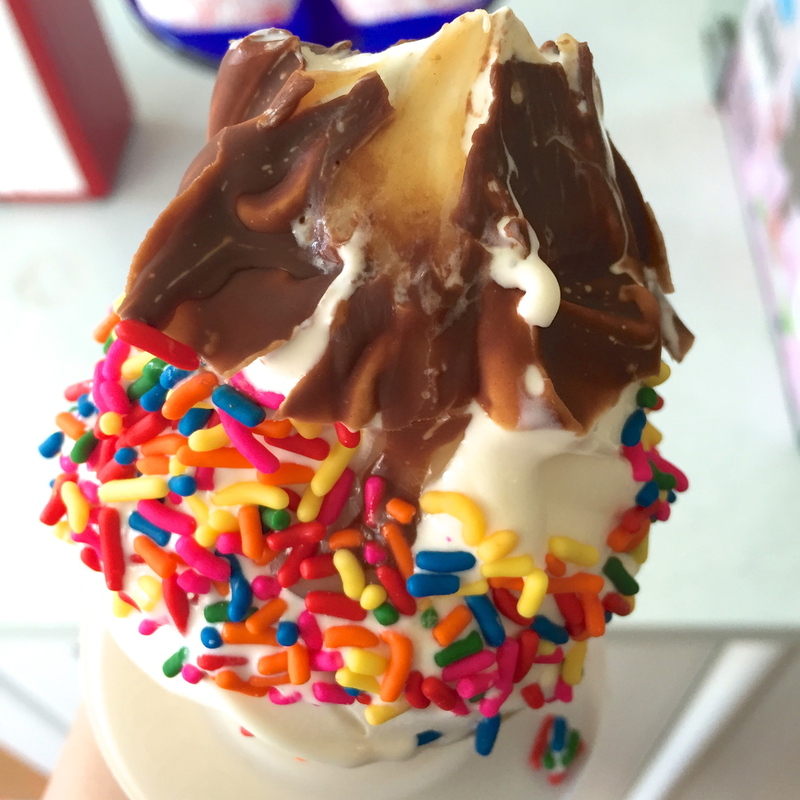 I enjoy my ice cream chocolate dipped, infused with dulce de leche (they literally have a bottle of the stuff and they add it into your ice cream), and sometimes even with a nutella lined cone. I am planning on doing a review on their different treats, so let me know if you’re interested because I may or may not have already tried almost all their signature cones #sorrynotsorry! I hope you’ve enjoyed today’s post and are having an amazing day. Please don’t forget to sign up to my newsletter to receive updates on new posts, exclusive tips, and to automatically be entered into all future giveaways! If you’re really feeling saucy add me on Instagram, Twitter, and Pinterest @otcolorfulside! Today is International Women’s Day and I couldn’t be more excited. We should celebrate all the contributions that women make to the world every day. There are so many women in my life that deserve recognition for all the amazing things that they have done so today I will be sharing a personal story as well as what International Women’s Day means to me. Previous Post My Honest Rituals Cosmetics Products Review & Haul | Worth it? I really love your positive energy and cheerful way you not only style clothes but just enjoy the life your living in them ! This top is especially beautiful on you ! I want to go to Manhattan soon! What a stunning top! 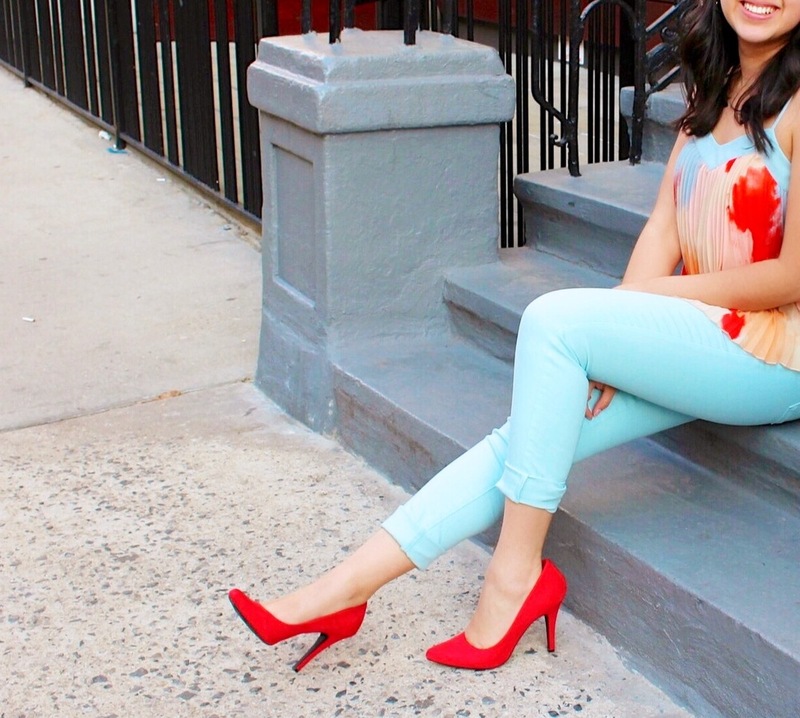 I also adore the red pumps. Gorgeous look! 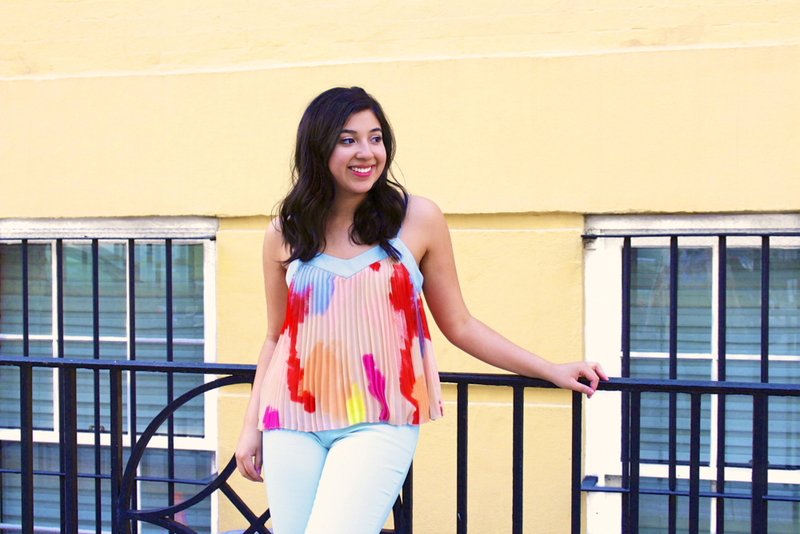 I love the bright colors of your top!! And that ice cream looks amazing! You look so beautiful, girlie, I adore that top and the way you styled it with the blue pants, which match the neckline perfectly! 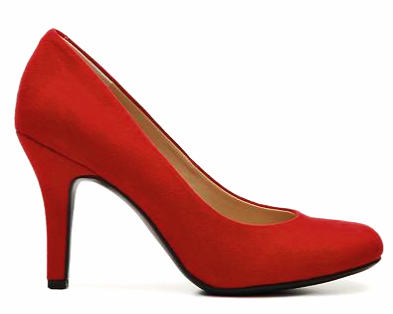 I also love those red pumps, such great styling! Thanks so much for sharing, beauty, and I hope you’re having a great start to your week so far! what a bright, beautiful top! I love it with the crisp white denim. That ice cream looks delicious! Nice color combine, you are looking so beautiful dear!